Parents who spend their time playing with and talking to their five-month-old baby may wonder whether their child remembers any of it a day later. Thanks to a new Brigham Young University (BYU) study, we now know that they at least remember the good times. The study, published in the November 2014 issue of Infant Behavior and Development, shows that babies are more likely to remember something if there is a positive emotion, or affect, that accompanies it. “People study memory in infants, they study discrimination in emotional affect, but we are the first ones to study how these emotions influence memory,” said BYU psychology professor Dr. Ross Flom, lead author of the study. Although the five-month-olds can’t talk, there are a number of different ways that researchers can analyze how the babies respond to testing treatments. In this particular study, the scientists monitored the infants’ eye movements and how long they looked at a test image. The babies were set in front of a flat paneled monitor in a closed-off partition and then exposed to a person on screen speaking to them with either a happy, neutral, or angry voice. Immediately following the emotional exposure, they were shown a geometric shape. To test their memory, the researchers did follow-up tests five minutes later and again one day later. In the follow-up tests, babies were shown two side-by-side geometric shapes: a brand new one, and the original one from the study. The researchers then were able to record how many times the baby looked from one image to the next and how long they spent looking at each image. Babies’ memories didn’t improve if the shape had been paired with a negative voice, but they performed significantly better at remembering shapes attached to positive voices. Most long-term survivors of retinoblastoma, particularly those who had been diagnosed with tumors by their first birthdays, have normal cognitive function as adults, according to a St. Jude Children’s Research Hospital study. The research, which was published online on November 24, 2014 in the journal Cancer, found that the vast majority of survivors work full time, live independently, and fulfill other milestones of adult life. The study is the first to examine how adult survivors of retinoblastoma fare cognitively and socially decades after their diagnosis. The findings contrast with research involving survivors of other childhood cancers that suggest a younger age at cancer diagnosis may put survivors at risk for reduced cognitive functioning later in life. “As a group, adult survivors of retinoblastoma are doing quite well based on their cognitive functioning and attainment of adult social milestones,” said the study’s first and corresponding author Tara Brinkman, Ph.D., an assistant member of the St. Jude Department of Epidemiology and Cancer Control and the Department of Psychology. “This suggests that for children whose visual system is damaged very early in life, the brain may compensate by reorganizing areas responsible for processing visual information to enhance processing of verbal and auditory information,” Dr. Brinkman said. “This highlights the importance of early intervention and rehabilitation for these patients.” Retinoblastoma is diagnosed in about 350 children annually in the U.S., and 95 percent of patients are younger than 5 years old when their tumor is identified. Today, more than 95 percent of retinoblastoma patients become long-term survivors. Previous research with retinoblastoma survivors focused on cognitive functioning in childhood. The results of those studies were mixed. A team of scientists, including researchers from the California Academy of Sciences, has reconstructed a detailed "tree of life" for turtles. The specifics of how turtles are related--to one another, to other reptiles, and even to dinosaurs--have been hotly debated for decades. 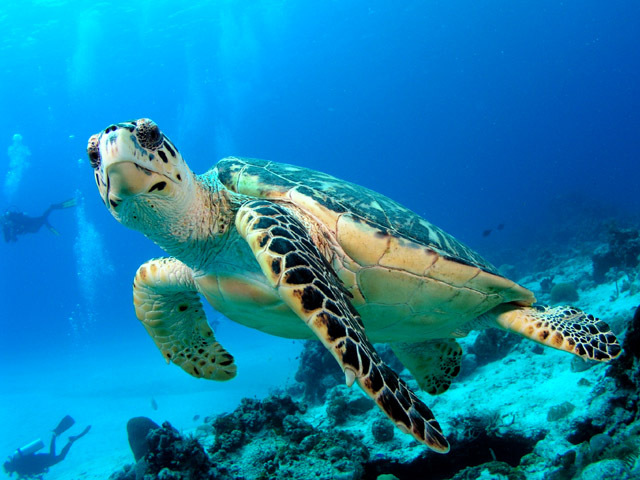 Next-generation sequencing technologies in Academy labs have generated unprecedented amounts of genetic information for a thrilling new look at turtles' evolutionary history. These high-tech lab methods have revolutionized the way scientists explore species origins and evolutionary relationships, and provide a strong foundation for future looks into Earth's fossil record. Research results, which were published online on November 4, 2014 in an open-access article in Molecular Phylogenetics and Evolution, describe how a new genetic sequencing technique called Ultra Conserved Elements (UCE) reveals turtles' closest relatives across the animal kingdom. The new genetic tree uses an enormous amount of data to refute the notion that turtles are most closely related to lizards and snakes. Instead, authors place turtles in the newly named group "Archelosauria" with their closest relatives being birds, crocodiles, and dinosaurs. Scientists suspect the new group will be the largest group of vertebrates to ever receive a new scientific name. The UCE technique used in high-tech labs allowed scientists to move beyond years of speculation and place the Archelosauria group in its rightful place on the reptile tree of life. UCE has been available since 2012, yet scientists are just beginning to tap its potential for generating enormous amounts of genetic data across vertebrates. A team of scientists from Arizona State University's Biodesign Institute and IBM's T.J. Watson Research Center has developed a prototype DNA reader that could make whole-genome profiling an everyday practice in medicine. "Our goal is to put cheap, simple, and powerful DNA and protein diagnostic devices into every single doctor's office," said Dr. Stuart Lindsay (photo), an ASU physics professor and director of Biodesign's Center for Single Molecule Biophysics. Such technology could help usher in the age of personalized medicine, where information from an individual's complete DNA and protein profiles could be used to design treatments specific to their individual makeup. The report was published online on November 7, 2014 in ACS Nano. Such game-changing technology is needed to make genome sequencing a reality. The current hurdle is to do so for less than $1,000, an amount for which insurance companies are more likely to provide reimbursement. In their latest research breakthrough, the team fashioned a tiny, DNA reading device a thousands of times smaller than the width of a single human hair. The device is sensitive enough to distinguish the individual chemical bases of DNA when they are pumped past the reading head. Proof-of-concept was demonstrated, by using solutions of the individual DNA bases, which gave clear signals sensitive enough to detect tiny amounts of DNA (nanomolar concentrations), even better than today's state-of-the-art, so-called next-generation DNA sequencing technology. Making the solid-state device is similar to making a sandwich, just with ultra-high-tech semiconductor tools used to slice and stack the atomic-sized layers of meats and cheeses like the butcher shop's block.